Check your car paint for contaminants. Whether parked or out on the road, there is no way you can prevent your car from coming into contact with various contaminants. These contaminants are both organic and inorganic in nature. The particles bond with your vehicle’s paint and become embedded in the surface which means that they cannot be removed by simply washing your car but auto detailing might help. Some examples of common contaminants that will affect the quality of your car paint include industrial fall out, tree sap, tar, paint overspray, and brake dust. Even hard water can leave its mark after washing. One of the most obvious signs of such contamination is that your car paint will be rough to the touch. You can use your hand to feel the paint or, if you want a more accurate feel, you can slip your hand inside a plastic bag and then run your hand along various parts of your car. The plastic bag helps enhance your sense of touch which will reveal contaminants much easier. If you do not remove these particles on a regular basis, they will oxidize and start to work to corrode away at the paint. As a result, you will notice the paint will no longer have its original shine, and it will start to become increasingly dull. If left unchecked, moisture will be able to penetrate the paint and rust will form as a result. Many people think that they can simply wax or polish their car and everything will be alright. This is true to a certain extent but, if you don’t remove the contaminants first, the sealant will not bond properly to your car paint. Think of it like sticking a piece of tape to a dusty surface. The dust will prevent the tape from sticking to the surface. 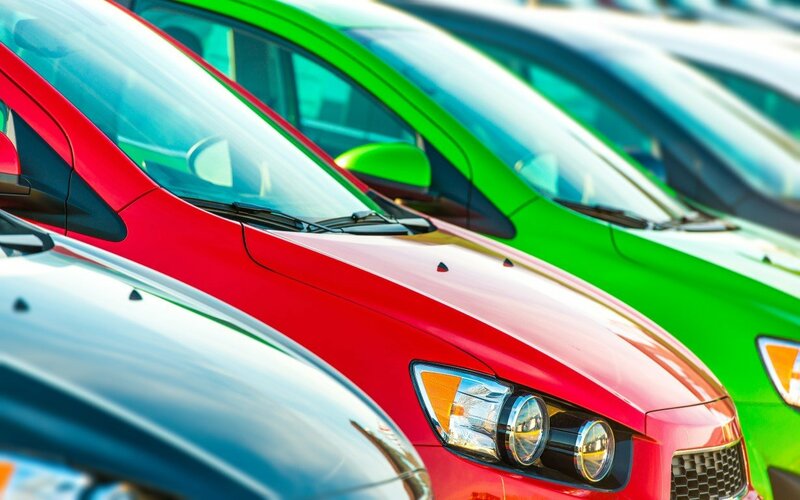 Contaminants have a similar effect when it comes to your car paint and sealants. What can they do to your car? Other problems that may occur due to such contamination include defects like swirls, holograms, etching, and scratches. 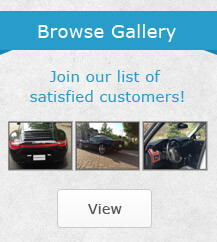 Inspecting your car is best done along with a single light source. Direct sunlight usually reveals imperfections with the greatest ease. Make sure that you inspect each area of your car from various angles so that you get a clear view of the affected area. It’s important to use a single light source because multiple light sources will make it difficult to determine the nature and size of the defect. Other than sunlight, you could also use a powerful LED flashlight. Handheld lights often make it even easier because you can move the light wherever needed. Of course, you also need to move your body around the light and don’t only rely on moving the light alone. With all of these points to keep in mind, it’s also good to note that contaminants can be removed. Regular washing is great for removing surface dirt but, when it comes to those stubborn particles, you are best of having a professional perform the removal for you. The key is to remove these particles sooner rather than later. So, as soon as you notice tree sap on your car, it should be cleaned off. Similarly, you should inspect your car every couple of weeks for a build up of dirt and have a professional remove this dirt before waxing or applying a sealant. 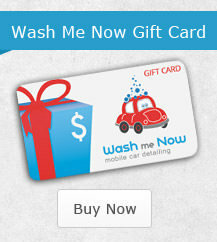 Wash Me Now offers professional mobile auto detailing throughout the Greater Toronto Area. 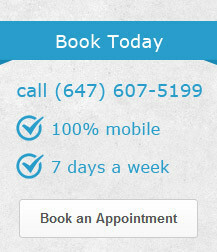 Contact us today at (647) 607-5199 to make your booking.